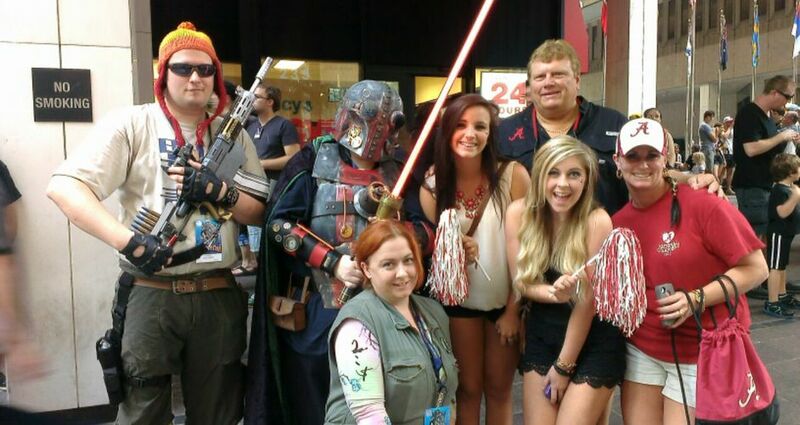 Dragon Con attendees and Alabama fans mingle over Labor Day. Over Labor Day weekend, Atlanta played host to 227,000 visitors attending five major events, including the 27th annual Dragon Con, the largest sci-fi/fantasy convention in the world, Chick-fil-A College Kickoff, 17th annual Atlanta Black Gay Pride Festival, AdvoCare 500 at the Atlanta Motor Speedway and The Publix Atlanta Cup, the largest fundraiser for Georgia Soccer each year. The weekend generated more than $67 million of economic impact for the city.